A special model, created for re doors, equipped with two intumescent strips on the lower wings. Thanks to the acoustic seal, this product guarantees a high comfort. Its mechanism can be pulled out from both hinge and lock sides (CCE patent). 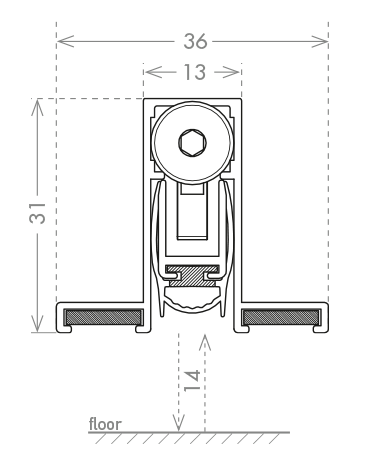 This model can be installed also on pivoting doors, in combination with “Actuator Pivot” accessory.